Free and fun come together in Fort Worth to give visitors a great time without breaking the bank. 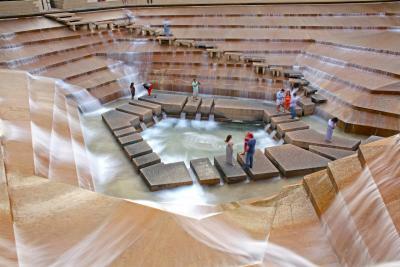 We&apos;ve gathered a list of the top 10 FREE things to do in Fort Worth. 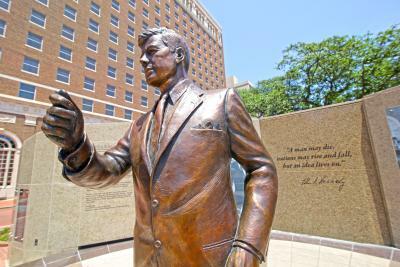 The JFK Tribute in General Worth Square marks the place and occasion of President Kennedy&apos;s historic visit to Fort Worth. Admire the tribute which includes an 8-foot bronze statue, visuals and internet base teaching guides. You can also download the JFK Tribute mobile app for an audio tour and to see pictures and videos of the former President&apos;s historic visit. See the JFK Tribute at the Southeast corner of Main and 8th Street. The museum is located in Sundance Square and houses works from leading Western artists Frederic Remington and Charles M. Russell. The American West comes to life through the art and inspires visitors to view Texas history in a new light. 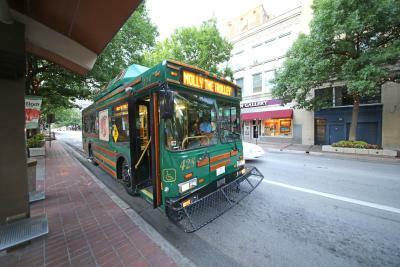 Free docent-guided tours are offered every Tuesday and Saturday at 2 p.m.
Molly the Trolley is a vintage-style trolley that offers free, quick and convenient travel throughout the downtown area. This route runs between the Fort Worth Convention Center and Sundance Square, and makes stops near downtown hotels, landmarks, restaurants, shops and entertainment venues. Molly runs every 15 minutes, 7 days a week, from 10 a.m. to 10 p.m.
A refreshing haven in the center of downtown with various pools of water and green spaces, the Water Gardens are both breathtaking and relaxing all at the same time. The active water pool wows, while the aerated pool entertains and the quiet water pool calms. The gardens are open from 7 a.m. - 10 p.m. daily. 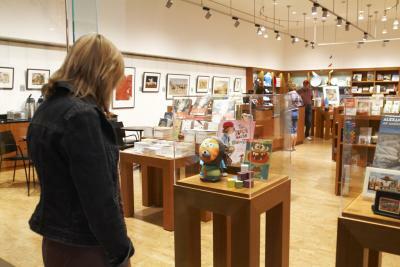 Spanning 35 blocks, Sundance Square is the perfect place to walk around, window shop or even splash around. From yoga and zumba, to family movies and live music, enjoy the Sundance Square year-round. 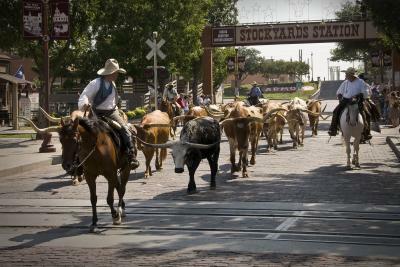 The Stockyards were once a major supply stop along the Chisholm Trail and saw millions of livestock sold in its hay day. This historic district is a must see, decked out with western saloons, cowboys on horseback and much more. Visitors will enjoy the world&apos;s only twice-daily cattle drive at 11:30 a.m and 4 p.m, presented by the Fort Worth Herd. Known for an assorted collection that links visitors to American history through art, re-live a piece of America&apos;s past walking through sculptures, illustrated books and photographs. The Money Factory is one of the only two printing facilities in the nation. Visitors are able to see American money printed at the place where over half of the nation&apos;s currency is ordered. With a suspended walkway, visitors literally walk above billions of dollars. Free tours are conducted Tuesday - Friday, 8:30 a.m. to 4:30 p.m.
A 110-acre oasis from the Texas sun, the Botanic Gardens are home to over 2,500 species of both exotic and native plants in the center of the Cultural District. The gardens provide beautiful scenery for an afternoon walk and are open from dawn to dusk 365 days a year. The Museum holds a collection of treasures such as an eighth-century Maya stone and Michelangelo&apos;s Torment of Saint Anthony - the only of his works in the Americas. 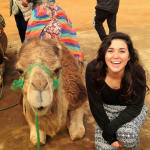 It&apos;s not only the art, but the world-renowned building that is worth the visit. 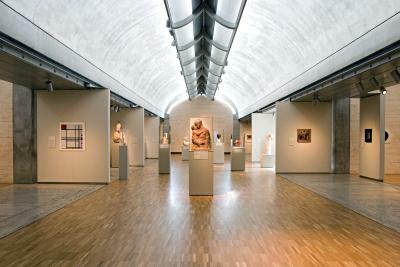 With a groundbreaking design, the Kimbell allows natural light to take the viewing experience from great to magnificent.